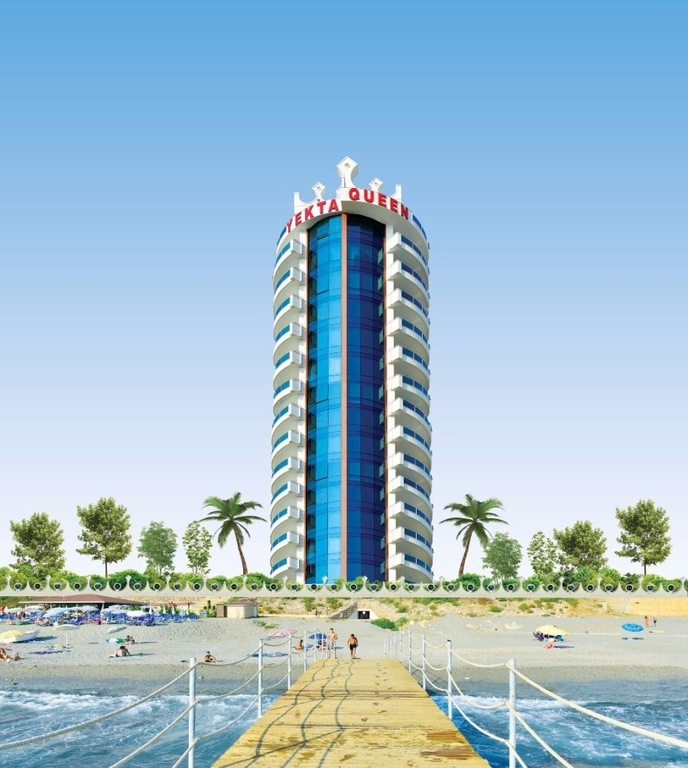 Here is the brand new pearl on the beach from Yekta Homes! 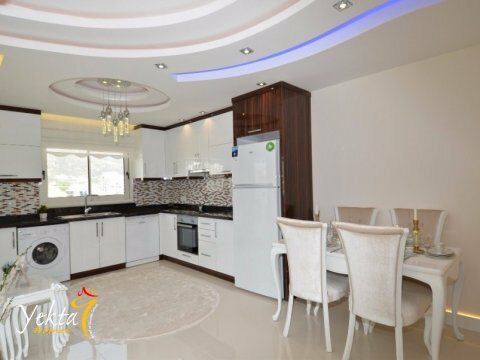 New development, new architecture, new style and design, luxurious and exclusive - constructed by the high standard and quality,whichis characteristic of all Yekta Homes’ developments. 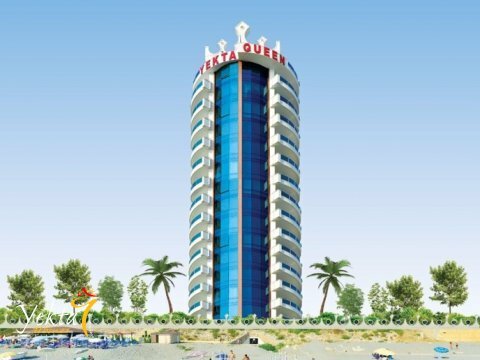 Yekta Homes is proud to introduce to you Yekta Queen Residence - a luxury residential development, with a privileged beachfront location. 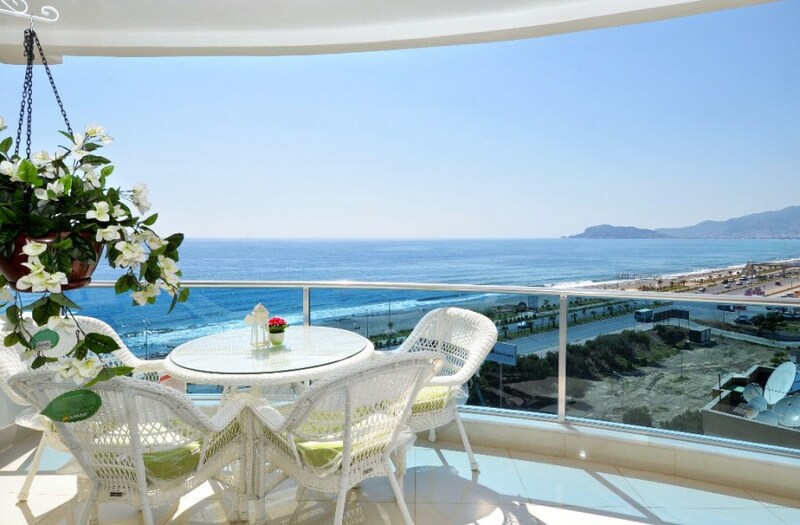 From here there is a spectacular and endless view of the Mediterranean Sea. 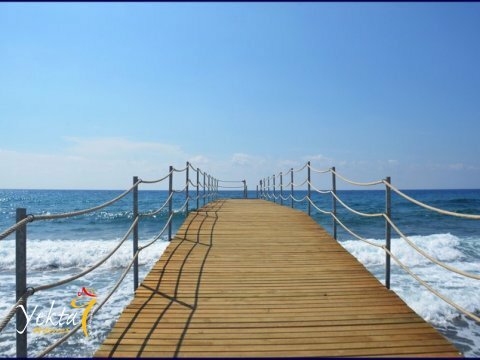 You can enjoy the amazing play of colors from the sea and the sky, from dark blue before sunrise, in the daytime the green and turquoise, and ending in the evening with a breathtaking fiery red or golden sunset. 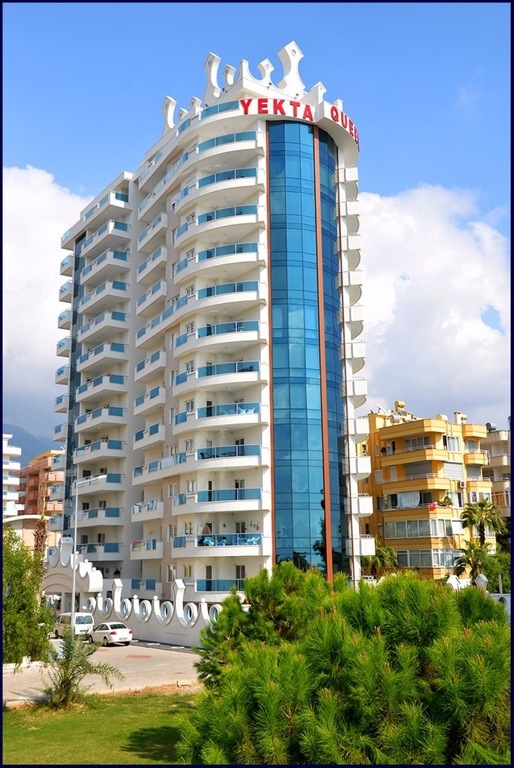 The view towards the magnificent Taurus Mountains, city of Alanya and Alanya Castle, is not less fascinating. 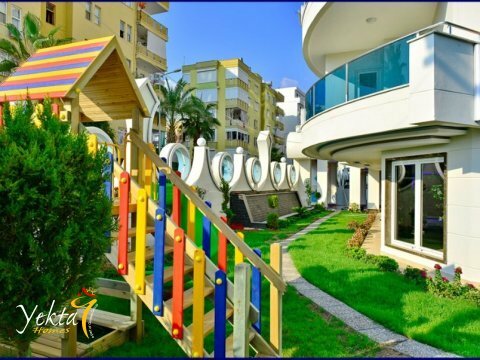 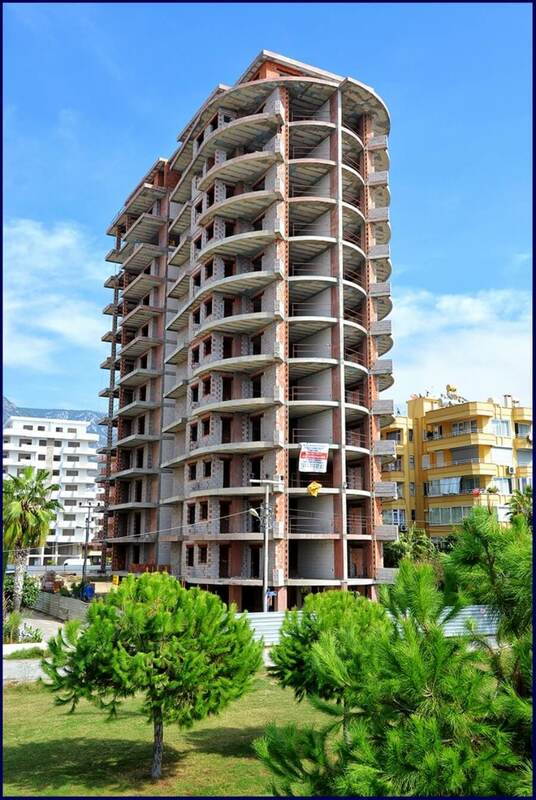 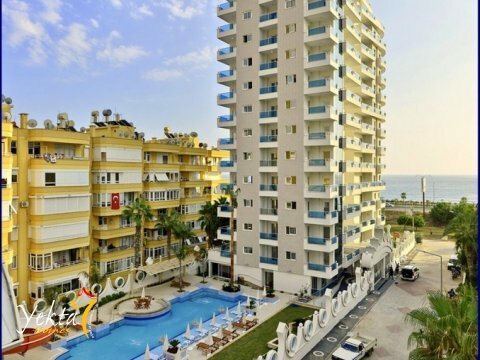 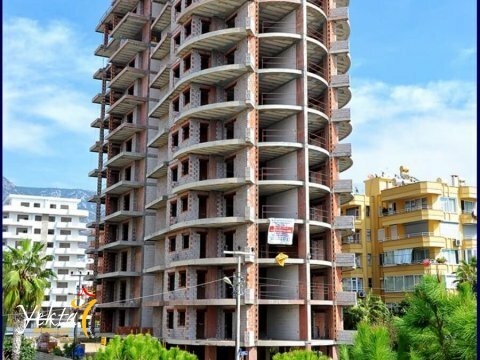 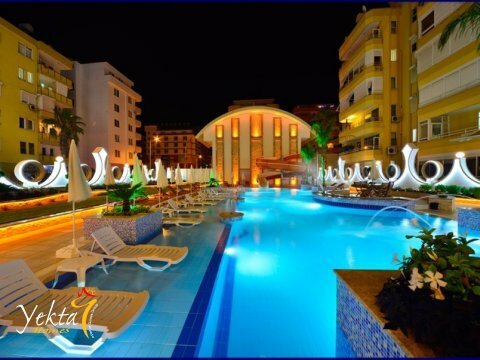 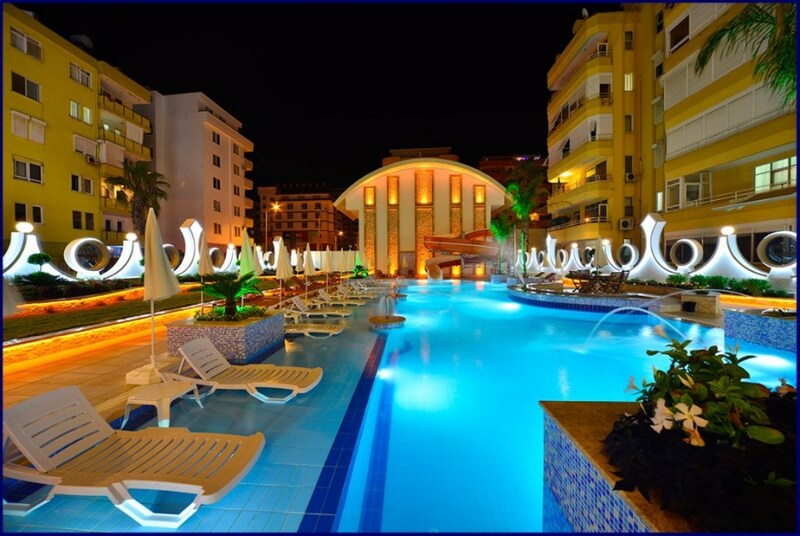 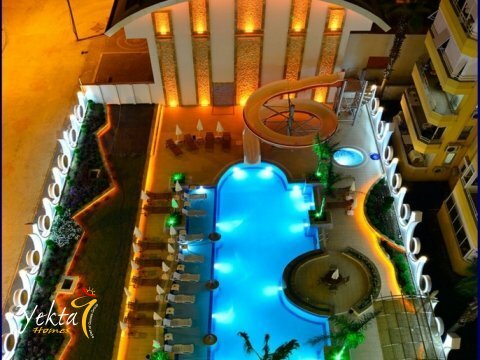 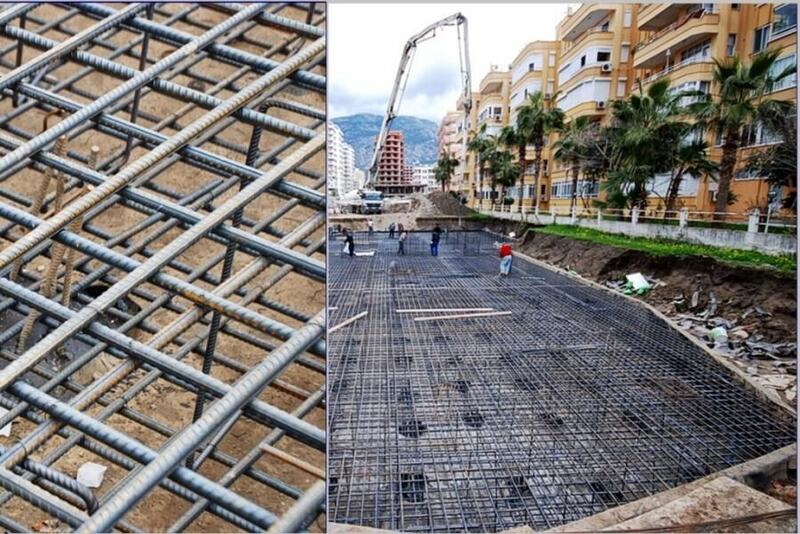 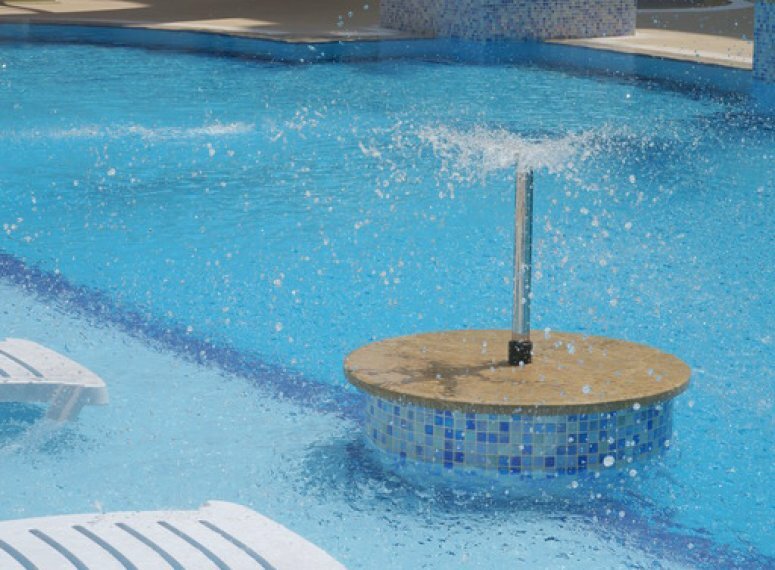 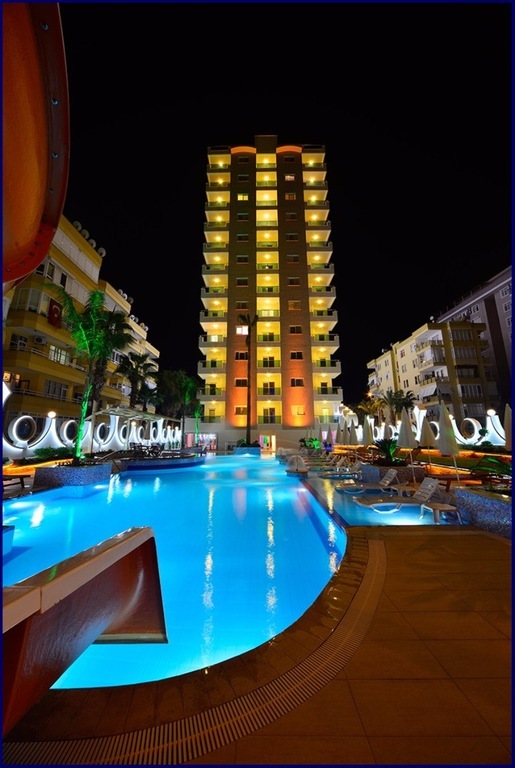 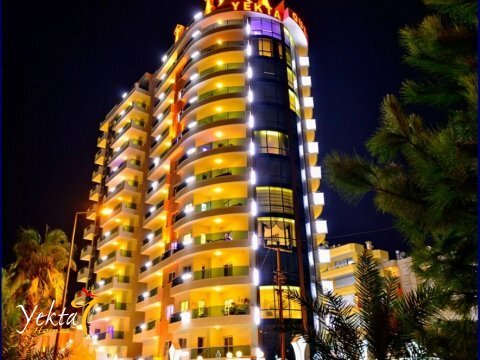 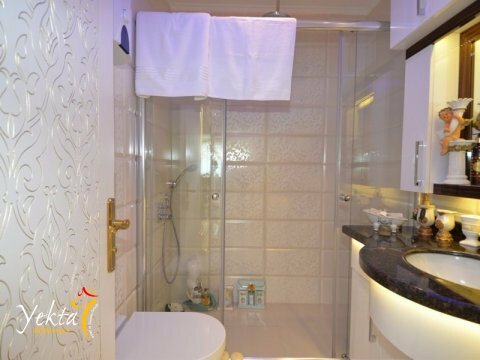 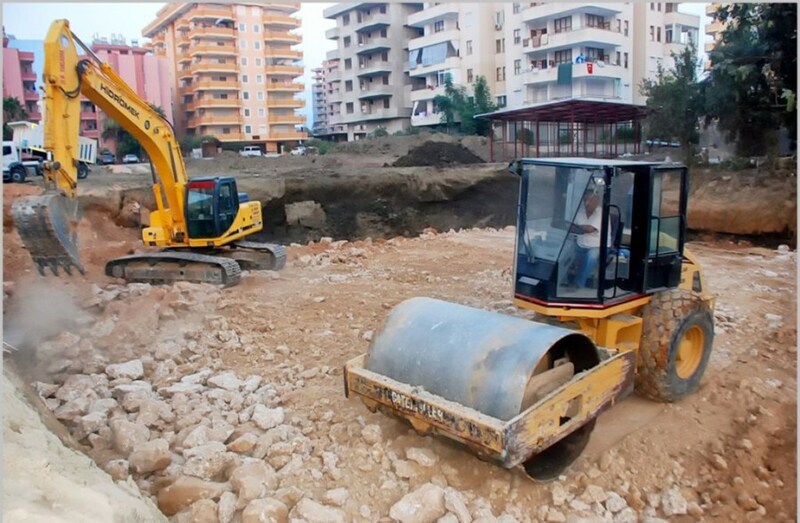 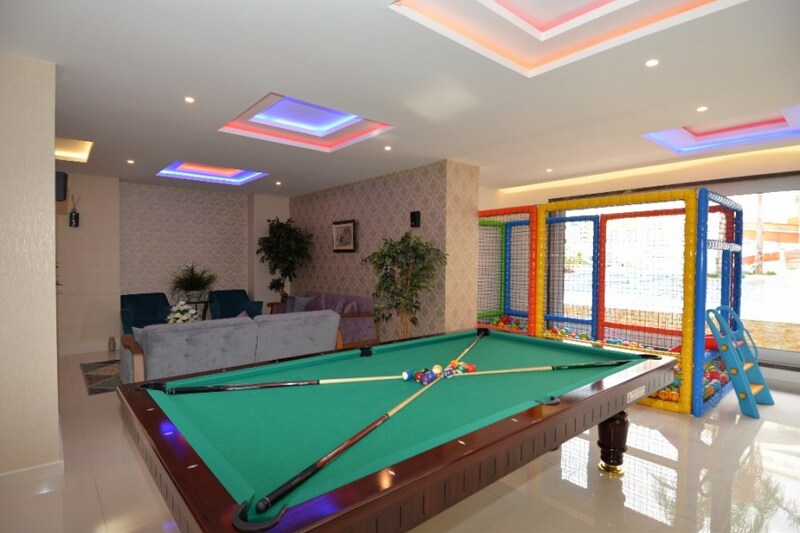 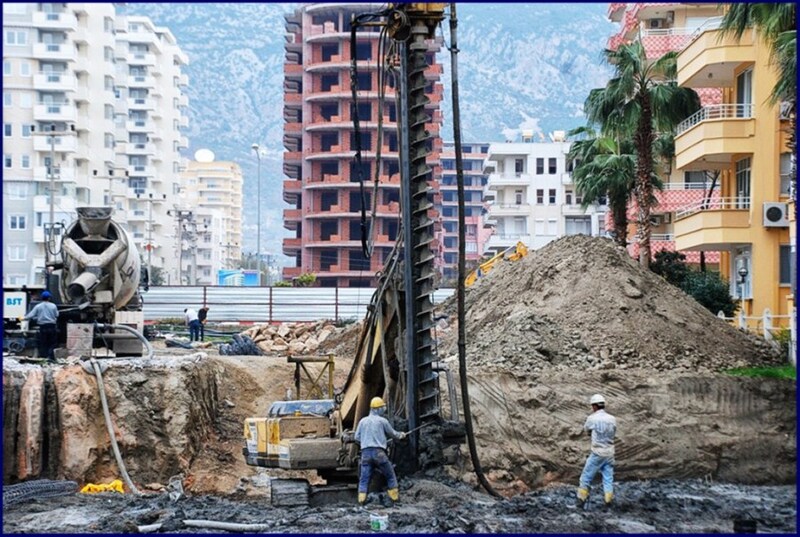 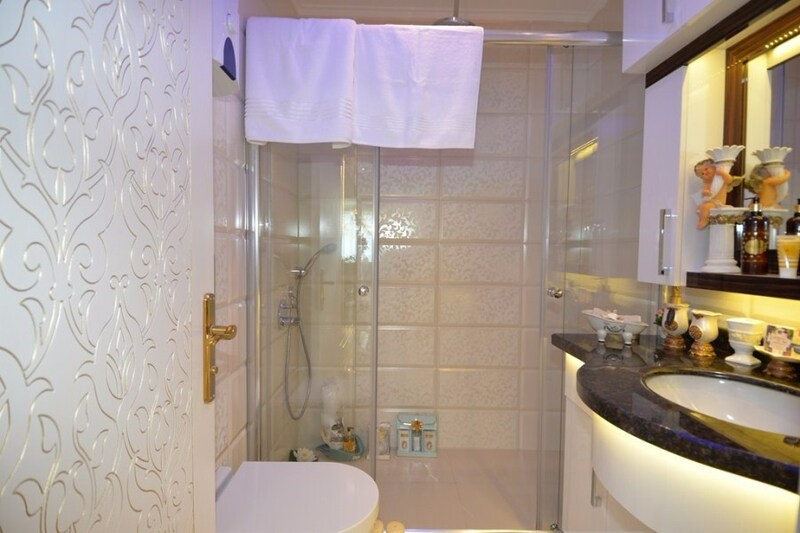 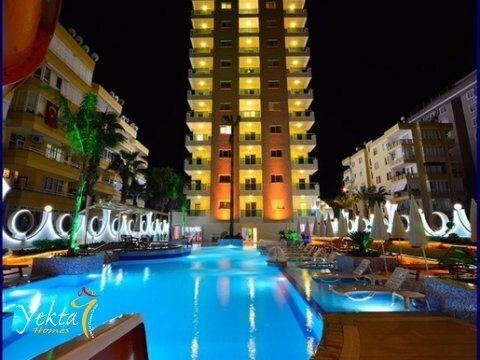 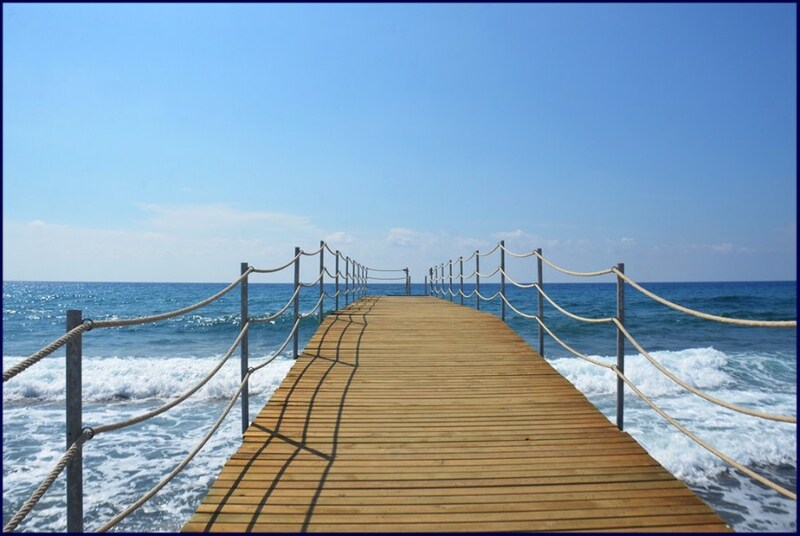 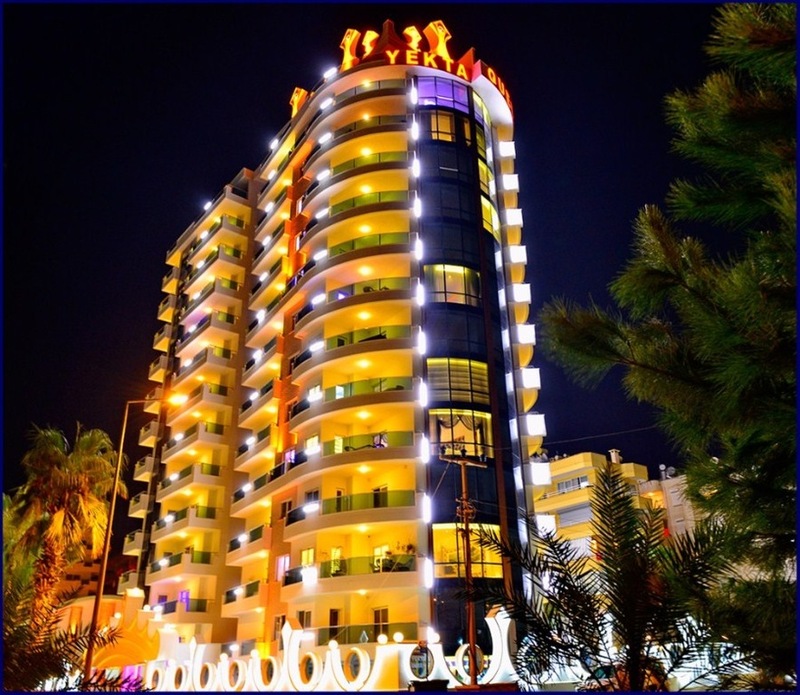 This residential complex is situated beachfront, east of the vibrant resort city of Alanya. 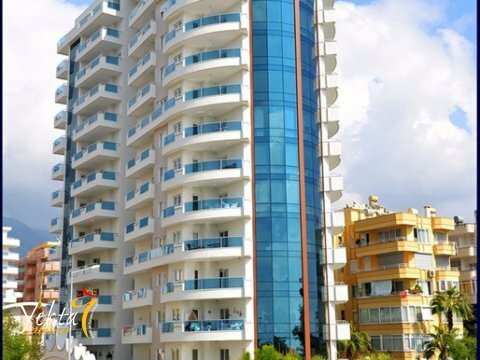 Here areendless beaches, mountains and green forests, and pleasant atmosphere - whichensure that your staywill be an exceptional experience. 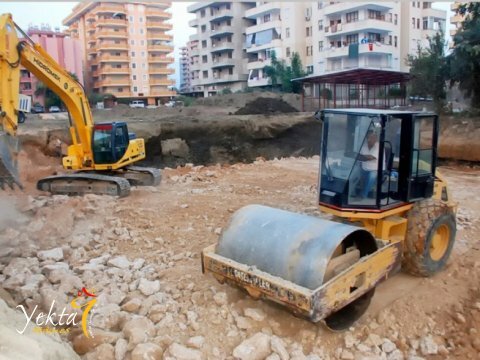 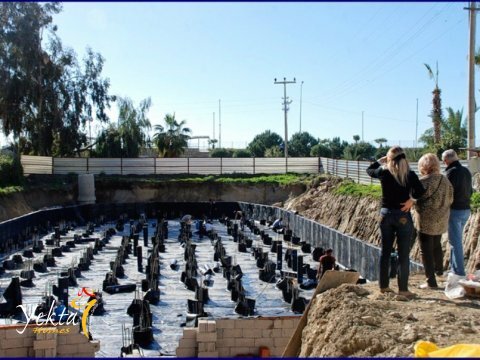 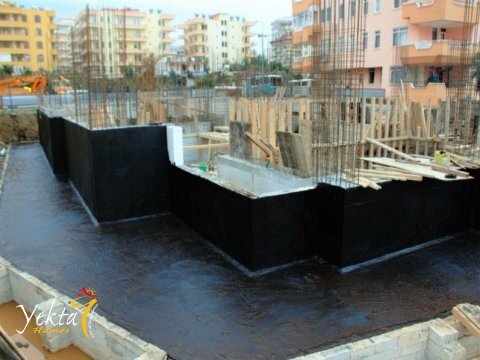 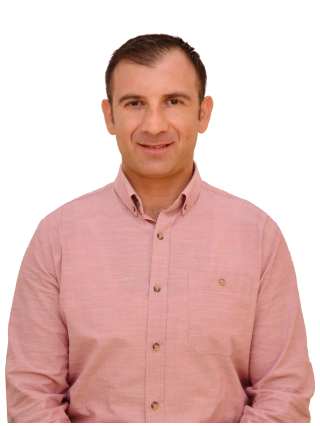 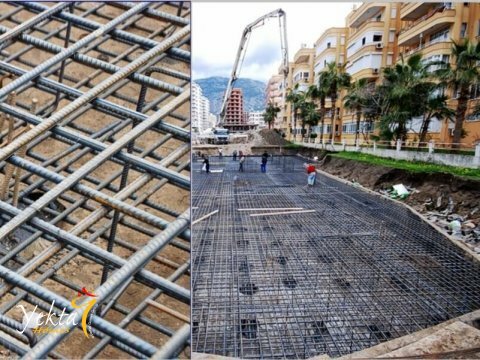 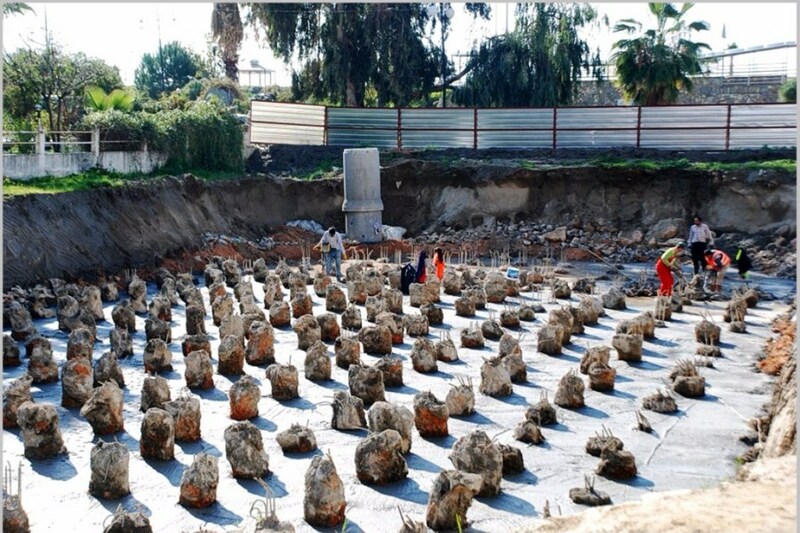 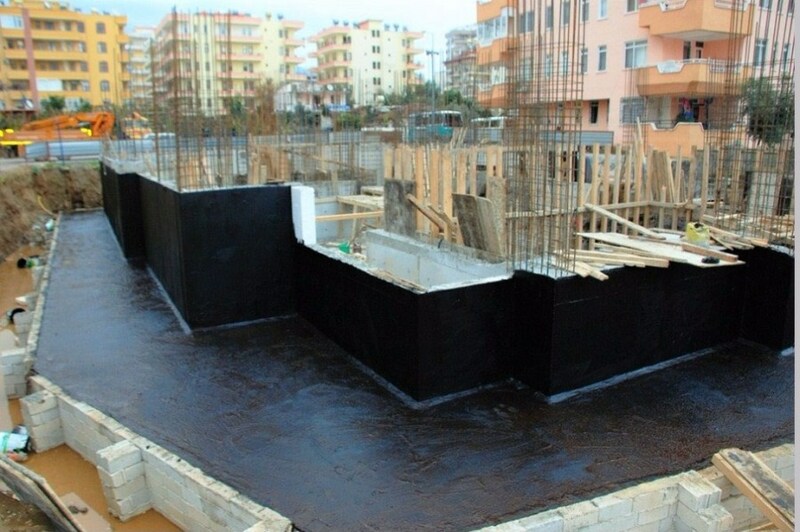 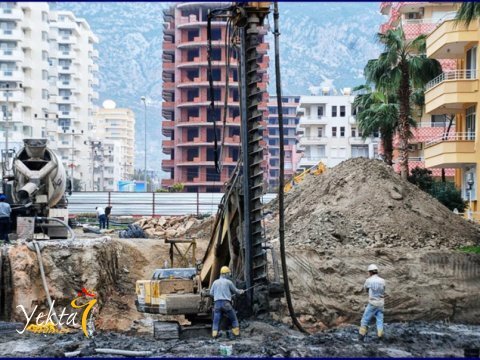 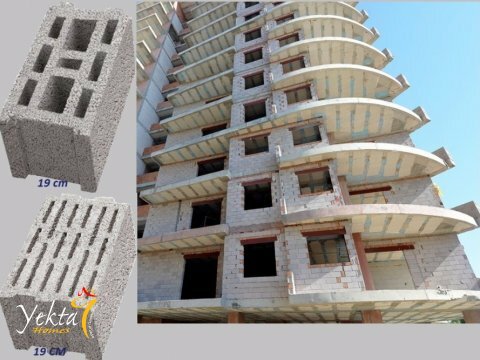 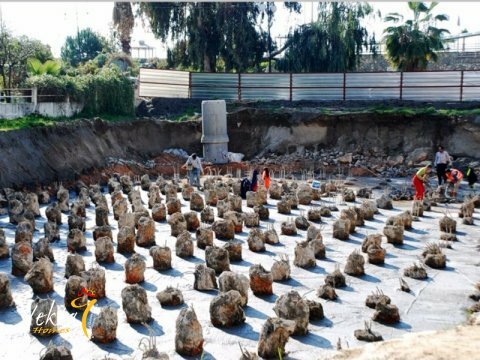 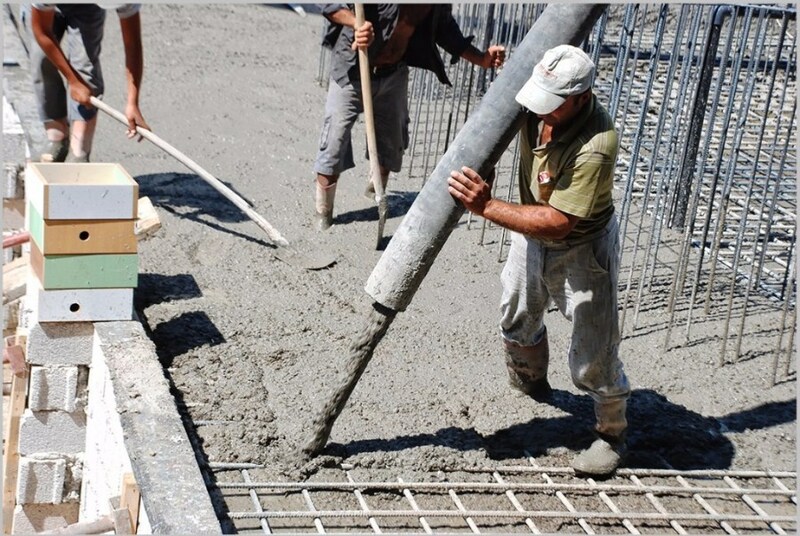 The construction of Yekta Queen Residence will be conducted using the most advanced and modern technology in the construction industry, and with environmentally sound construction materials. 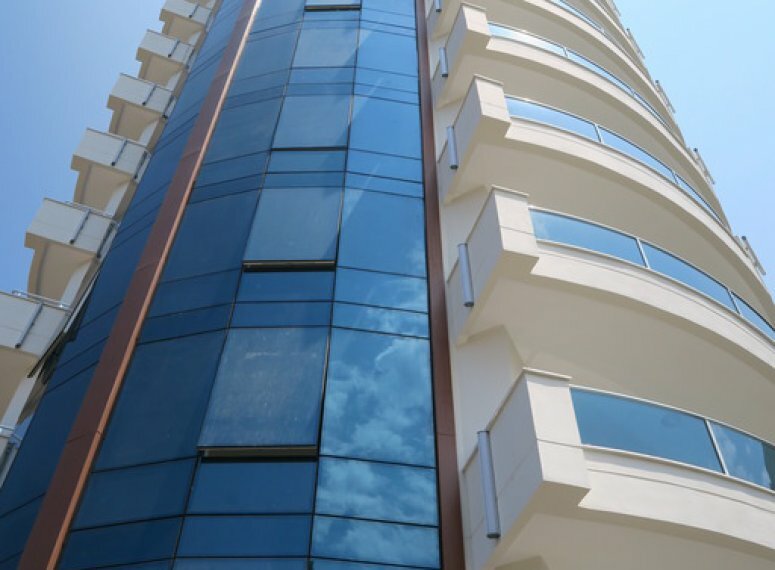 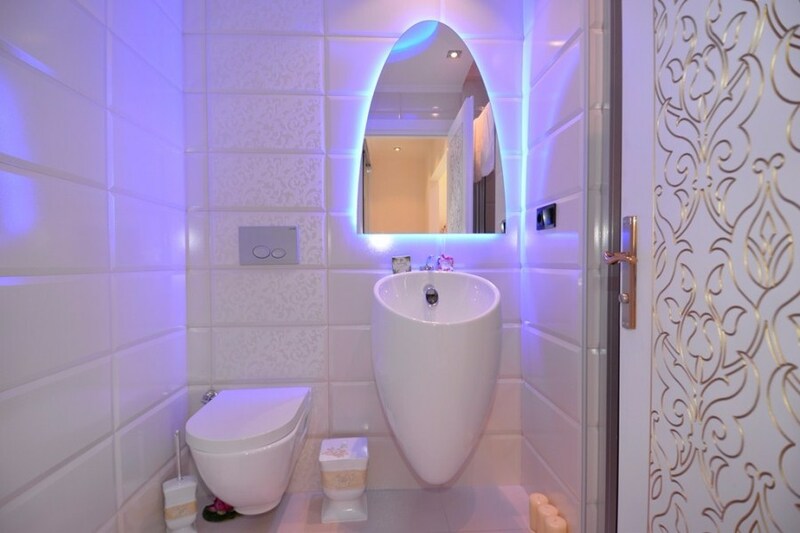 The development offers cozy one bedroom apartments, comfortable and spacious two bedroom apartments, as well as luxurious and unique penthouse apartments containing two or three bedrooms. 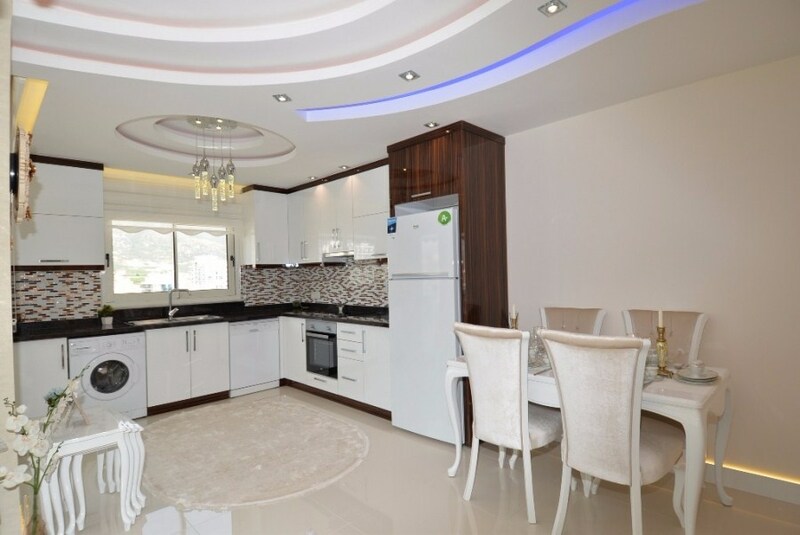 All apartments are beautiful, with roomy layout and exquisite design. 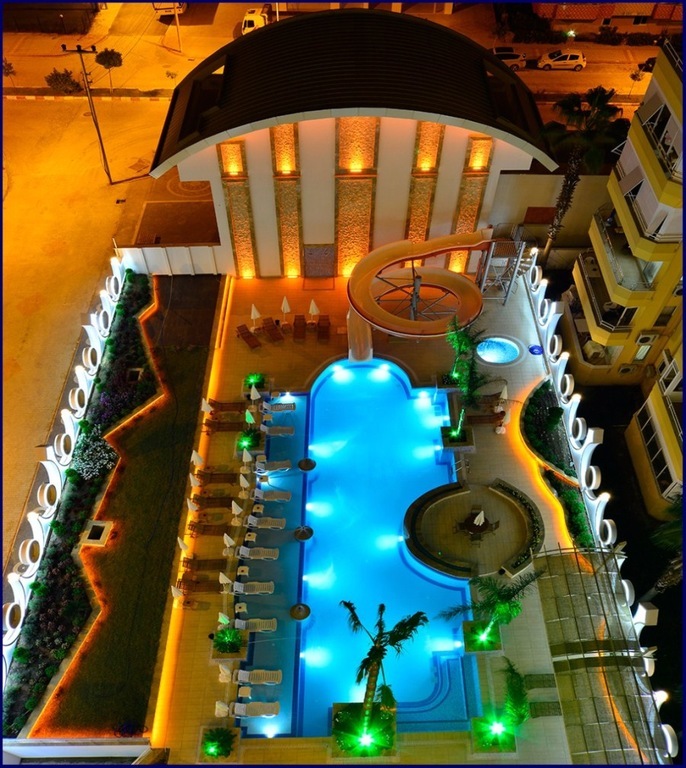 Yekta Queen is architecturally designed to maximize the magnificent views from all apartments. 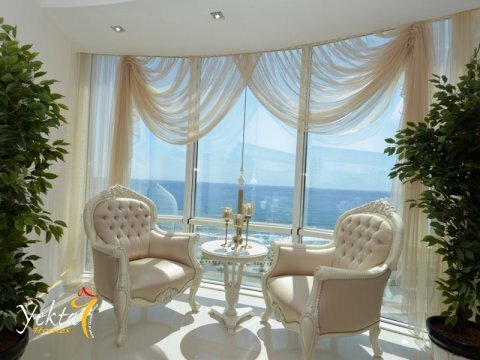 To achieve the ultimate experience of the sea views, the south facing living rooms willhave panoramic windows from ceiling to floor. 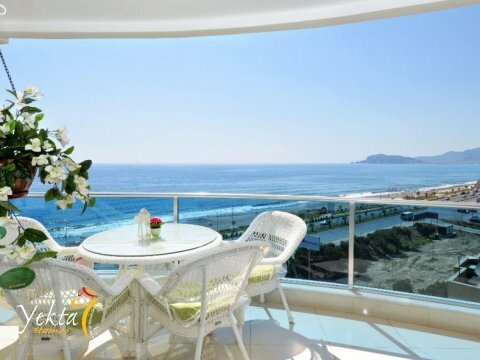 This view can also be enjoyed from the Jacuzzi’s in three bedroom penthouses. 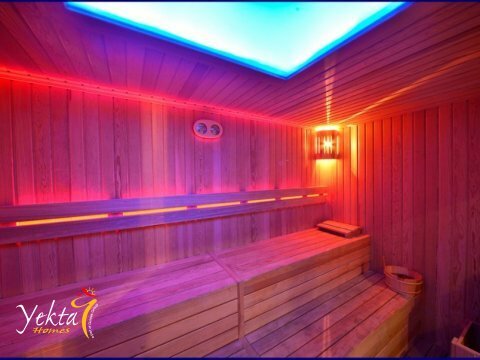 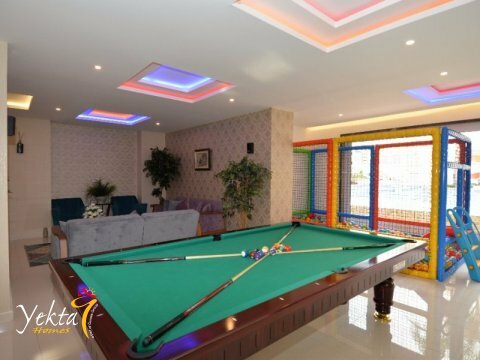 To cover the residents need to be active, or unwind and pamper themselves, there is going to be a rich variety of amenities in Yekta Queen. 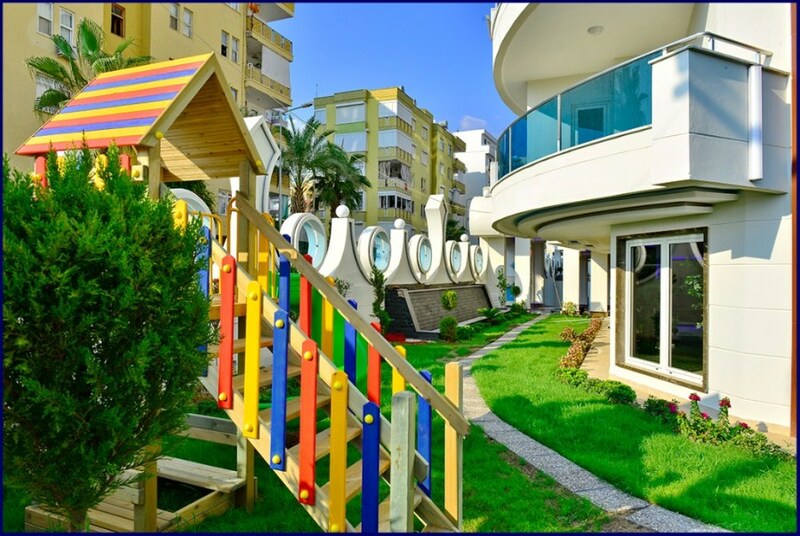 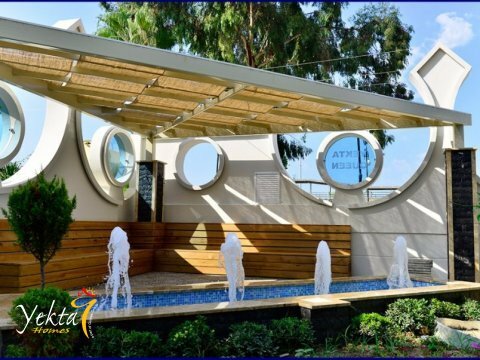 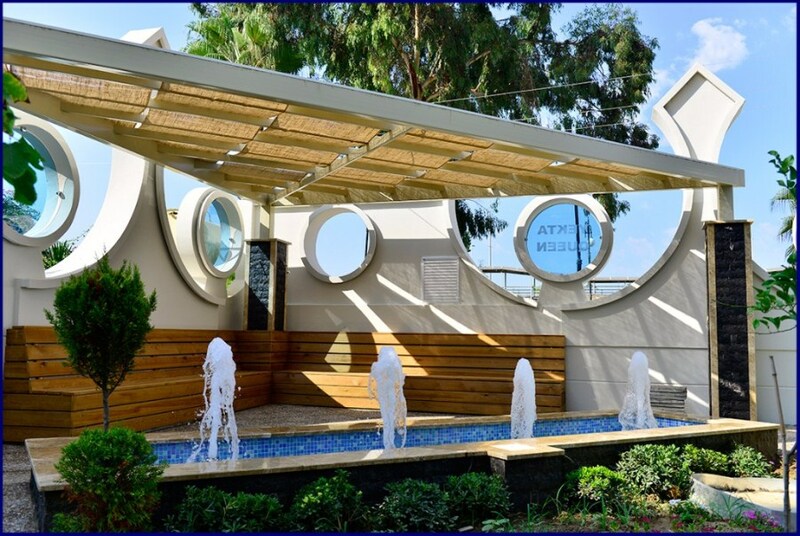 You can snuggle up in the green and flourishing garden with pavilions for rest and tranquility, and enjoy the large swimming pool while the kids play on the playground or rejoice on the waterslides. 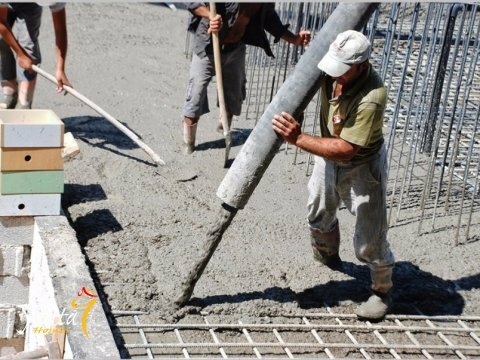 Our resident’s safety is important to us, and features an underpass to the beach, security cameras and personnel living on the site. 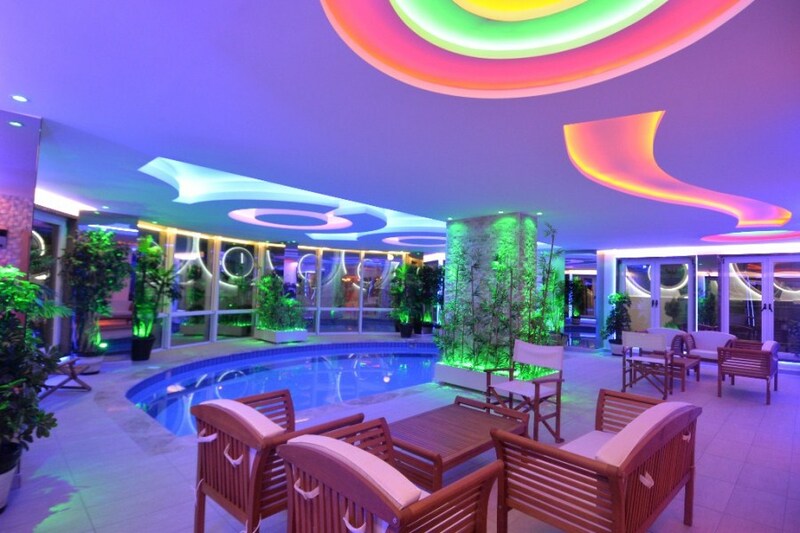 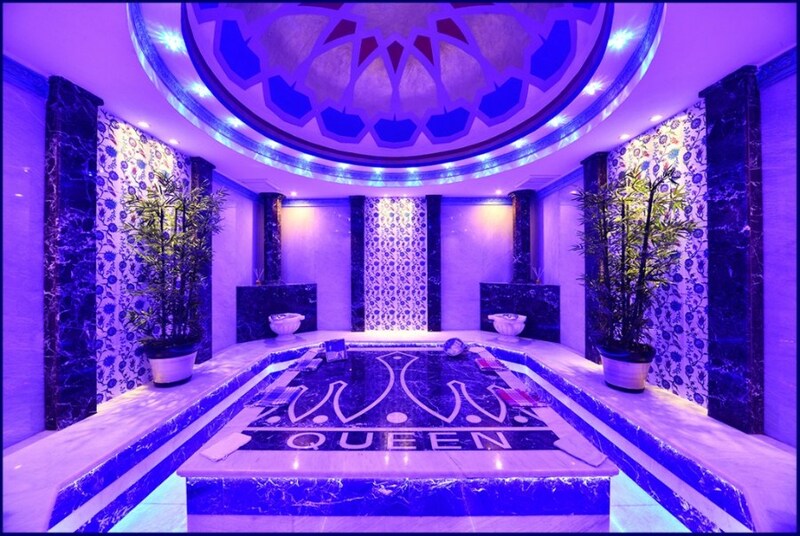 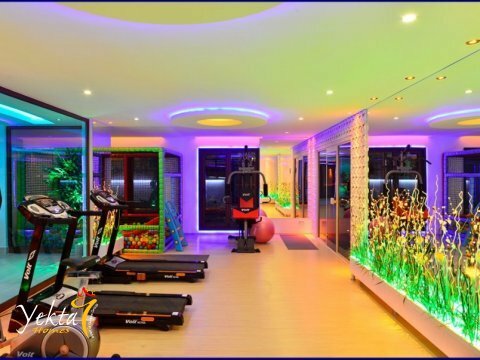 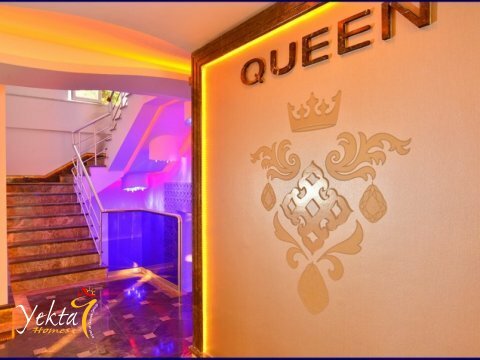 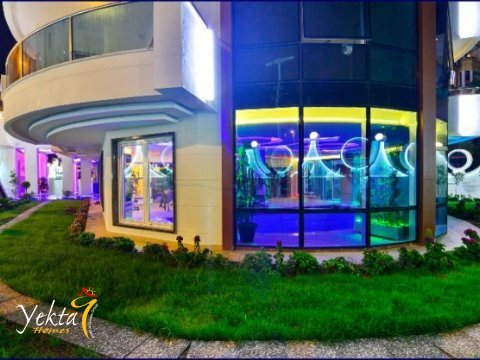 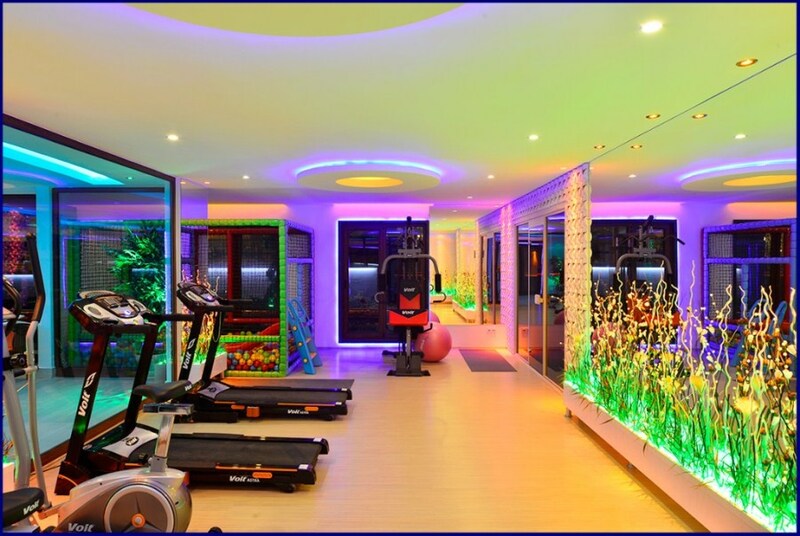 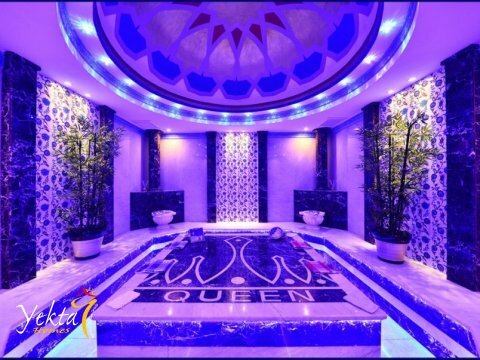 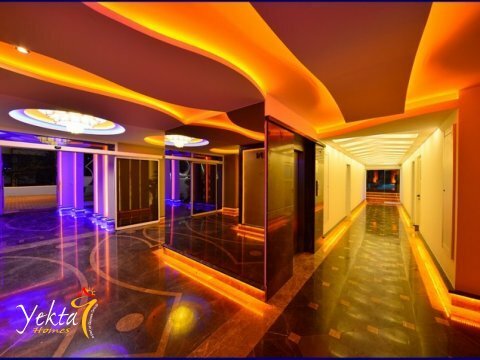 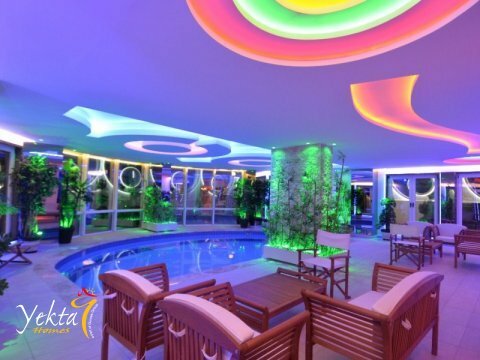 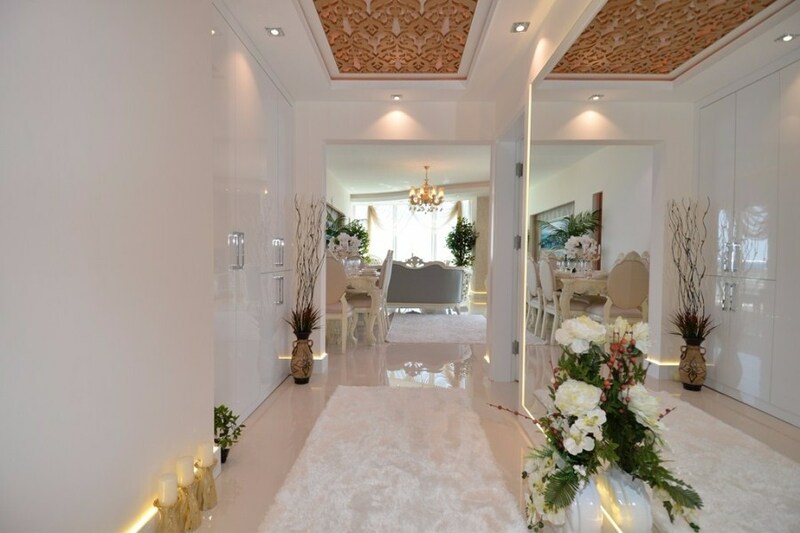 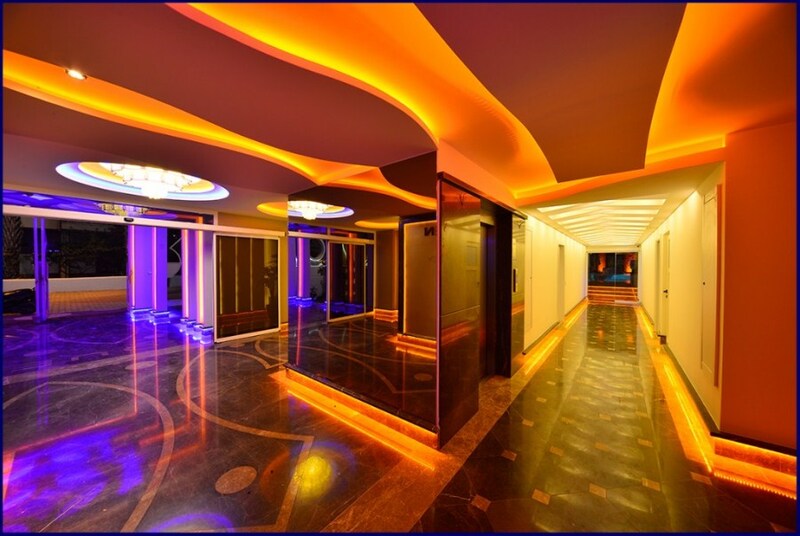 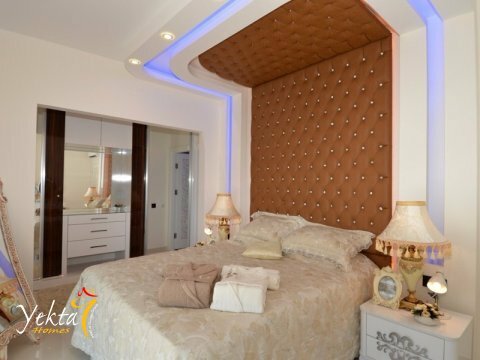 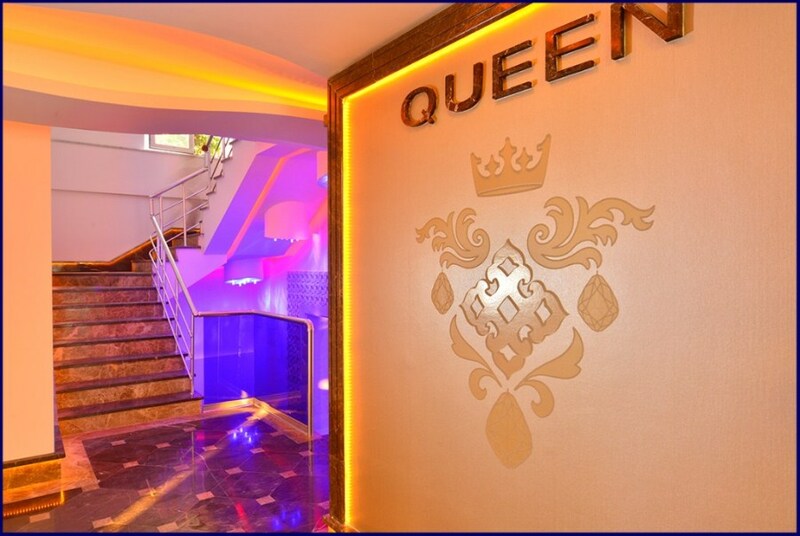 Yekta Queen Residence - for those seeking a luxurious life! 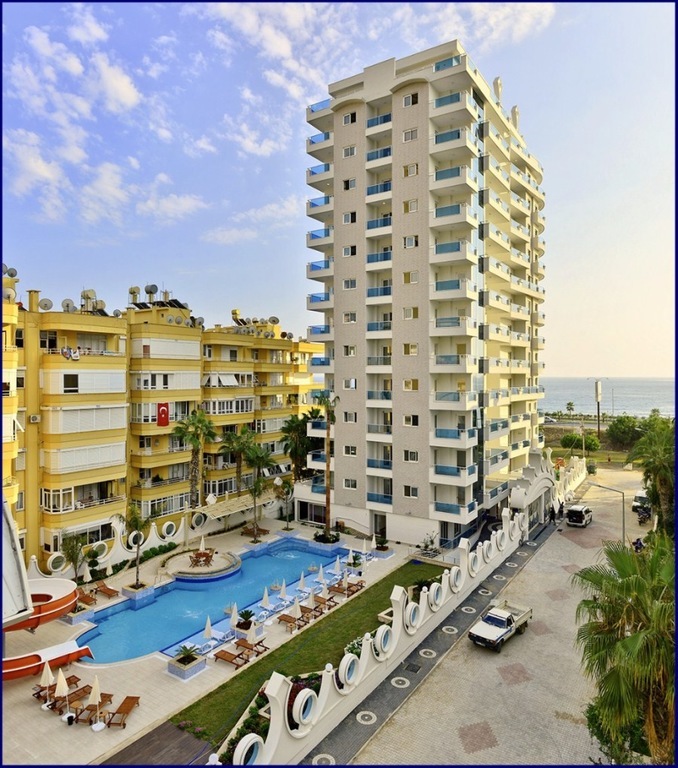 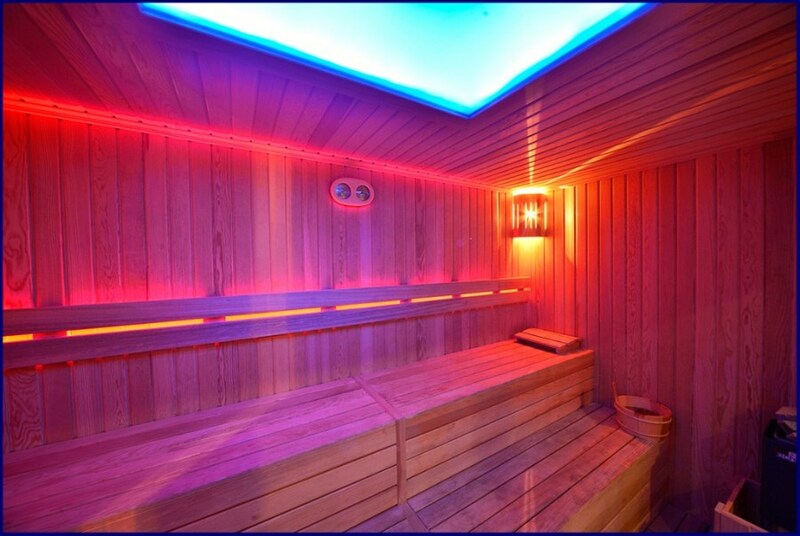 If your dream is to enjoy the modern and relaxed Mediterranean lifestyle, you have found the right place. 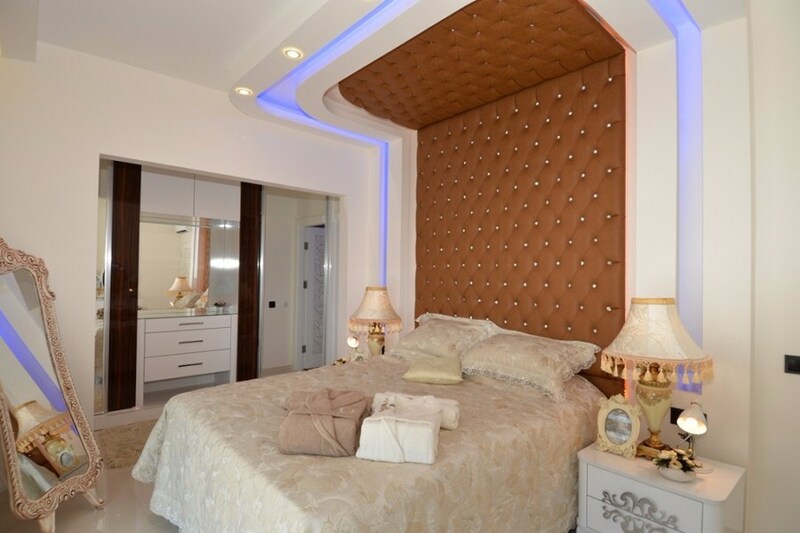 We make your dreams come true!